The publicly traded Sturm, Ruger & Company, Inc. reported in early August that for the second quarter of 2018 the Company had net sales of $128.4 million and diluted earnings of 86¢ per share, compared with net sales of $131.9 million and diluted earnings of 57¢ per share in the second quarter of 2017. In the second quarter of 2018, net sales decreased 3% and earnings per share increased 51% from the second quarter of 2017. The estimated unit sell-through of the Company’s products from the independent distributors to retailers decreased 1% in the first half of 2018 from the comparable prior year period. For the same period, the National Instant Criminal Background Check System background checks (as adjusted by the National Shooting Sports Foundation) decreased 3%. The slight decrease in estimated sell-through of Ruger’s products from the independent distributors to retailers is attributable to decreased overall consumer demand in the first half of 2018, partially offset by increased demand for some of the Company’s recently introduced products. The board of governors of the National Shooting Sports Foundation (NSSF), the trade association to the firearms and ammunition industry, on Aug. 8 announced that O.F. 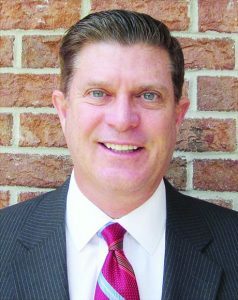 Mossberg & Son’s Executive Vice President and General Counsel, Joseph Bartozzi, will be the foundation’s next president. Bartozzi will assume his new duties Sept. 10, 2018. Current President and CEO Steve Sanetti will stay on in his CEO capacity through to his retirement at the end of 2019, at which point Bartozzi will take over those additional duties. Bartozzi currently serves as the chairman of the board of directors of the Sporting Arms and Ammunition Manufacturers’ Institute (SAAMI); as treasurer and a member of NSSF’s board of governors; board member and chairman of the governance committee of the Council to Advance Hunting and the Shooting Sports (CAHSS); committee member for the American Society of Testing and Materials (ASTM); and technical advisor to the Association of Firearm and Tool Mark Examiners (AFTE). He is also certified as a range safety officer by the National Rifle Association. Bartozzi was nominated for the 2013 “Person of the Year” by SHOT Business magazine, a nomination reprised in 2014. In 2015, Bartozzi was admitted to the bar of the US Supreme Court. He is a member of the Connecticut and Maine State Bar Associations, he holds three professional certifications from the American Society for Quality (ASQ), and he is a member of the Society of Manufacturing Engineers (SME). 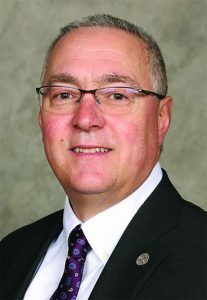 “The Board of Governors agreed that Joe’s unique set of experiences and skills will provide NSSF and the firearms industry with the strong leadership needed to ensure we can continue our mission of promoting, protecting and preserving hunting and the shooting sports for generations to come,” said Robert Scott, vice chairman of American Outdoor Brands and chairman of NSSF’s board of governors. Kalashnikov USA (KUSA), the Pompano Beach, FL-based designer and manufacturer of AK style shotguns, rifles and pistols that pay homage to the iconic Russian design, announced in July that firearms industry veteran, Jonathan Mossberg, has assumed the position of CEO for the company. Mossberg’s first call to action as the new CEO will be to review and expand KUSA’s R&D capabilities, incorporating his extensive knowledge of research and development, supply chain management and fiscal responsibility. In recent years, Kalashnikov-USA has released several firearms designs based on the DNA of the original Russian AK design, including the KS-12 Shotgun based on the Russian Saiga series, the KR-9 9mm semi-automatic rifle based on the Russian Vityaz-SN submachine gun and the pistol version, the KP-9. Mossberg intends to improve and expand the current line – with a USA made AK-47 next in line. KUSA is a privately owned and operated US company that designs, manufacturers and markets firearms for the law enforcement, military and commercial markets. Remington Arms has secured a contract with the US Army to deliver an unspecified number of carbines to key American allies. The fixed-firm-price contract is worth just shy of $24.5 million dollars. This is a shot in the arm for the long-suffering American manufacturer. Remington’s reputation and quality began to suffer after failing to land major US military contracts starting a few years back. Neither the Army nor Remington is indicating who will receive the contract. It could be any number of armed forces or security services from the Middle East to the Pacific Islands. Remington produces a number of rifles that could fit the bill but chances are the order is for M4- or M4A1-pattern carbines, which are the most commonly issued. Reportedly, Colt and FN America also placed bids but ultimately Remington landed the deal. Meanwhile, the US Army has recently awarded Winchester an $8.1 million order for 7.62mm ammunition under an existing “Second Source” contract. The ammunition will be manufactured in Winchester’s state-of-the-art facility in Oxford, MS, with an estimated completion date of Dec 31, 2019. Winchester has received more than $285 million in orders on this contract since it was initially awarded in January 2016.